This month, we’re celebrating the egg. 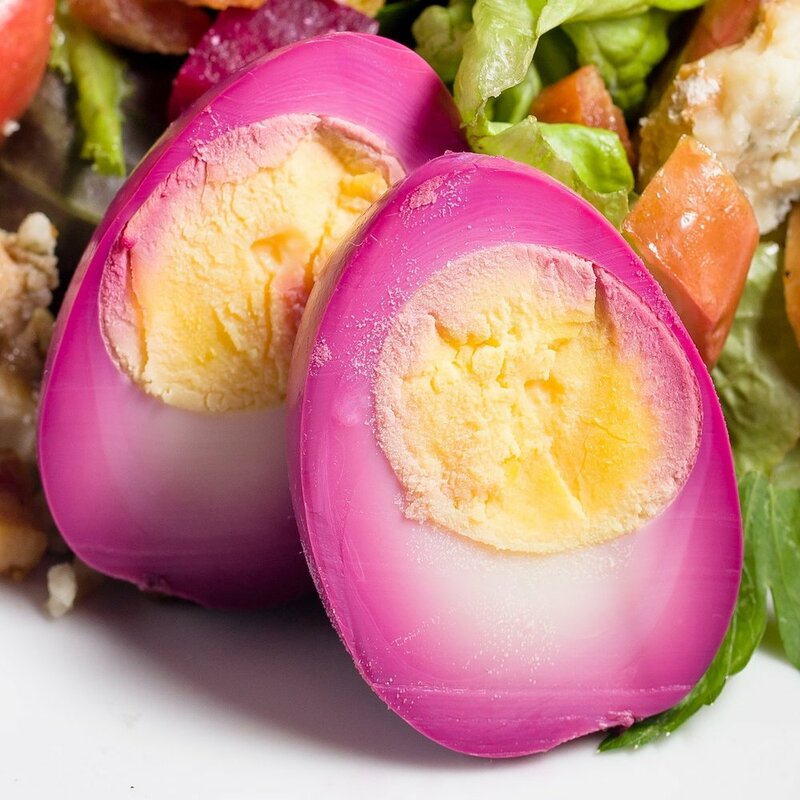 A symbol of new life, eggs are a nutritional powerhouse that can be enjoyed in a variety of culinary applications from the simple boiled egg for breakfast to a decadent custard for dessert. We enjoy eggs because they contain many of the essential proteins, minerals and vitamins that our bodies need. Check out one of our favorite recipes below and how our cafes are celebrating the egg this month. In a small sauce pan, combine 1 cup of sugar with ¼ cup of water. Stir over medium-high heat until the sugar dissolves and the syrup is a deep amber color. Remove syrup from the heat and carefully divide between six 3-4 oz ceramic ramekins. Set aside. In a medium sauce pan, combine milk, sweet condensed milk, ½ cup sugar, cinnamon, nutmeg and salt. Bring to a simmer. Remove from heat. Set aside. In a small mixing bowl, whisk together whole eggs, yolks, vanilla extract and horchata powder. Pour ½ of the warm milk mixture into the egg mixture and stir gently until both mixtures are completely combined. Divide the mixture between the six ramekins, filling each ¾ full. Line the bottom of a baking dish with a damp towel, covering it evenly. Arrange the six ramekins on top of the towel and pour hot water into the baking dish. The water should come up half way up the side of the ramekin. Place the dish into the 275°F oven and bake uncovered for 20 minutes or until wiggly in the center. Carefully remove from oven and cool down to room temperature. Cover with plastic wrap and refrigerate overnight. To serve, gently run a knife around the edge of the ramekins to loosen the flan, then carefully turn out onto the plate.